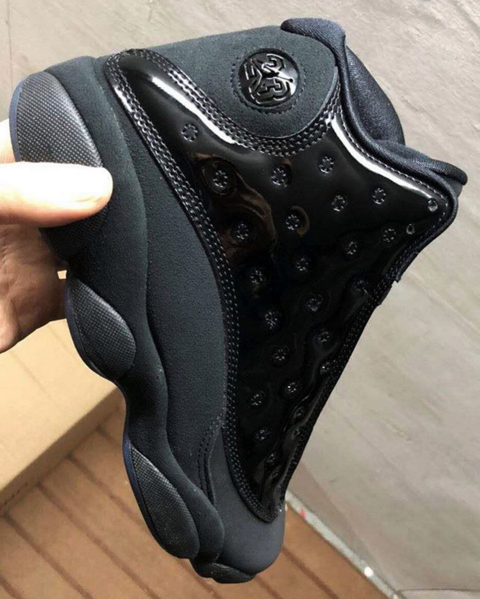 According to sneaker source @Zsneakerheadz, the celebratory Air Jordan 13s will now be available on April 27, several weeks earlier than the rumored May 18 release date. The kicks, priced at $200, feature a glossy, black patent leather overlay atop the black nubuck upper. 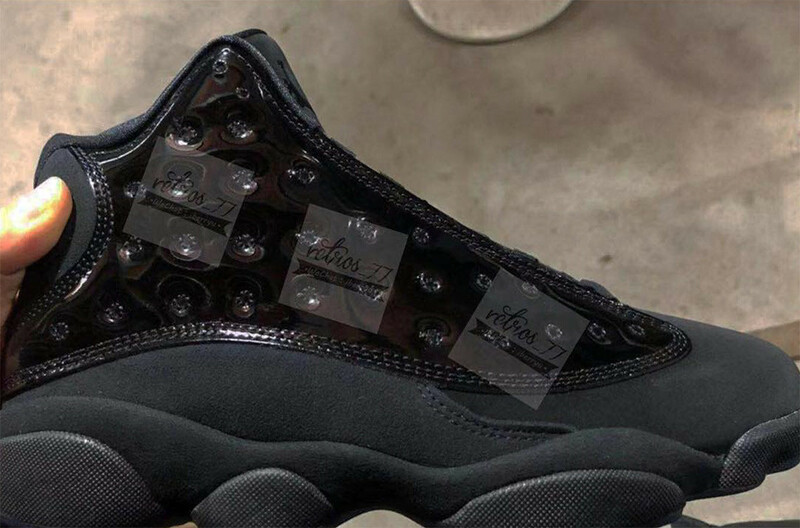 Official images of the "Cap & Gown" 13s have not yet been revealed but the latest photo from @Zsneakerheadz shows that the hologram "cat eye" located on the outer ankle has been swapped out in favor of a black 23 Jumpman logo. Take a closer look at the early images below and stay tuned for a more detailed look as we approach the April 27 release date.